NEW 6 A SIDE SPRING COMPS KICKS OFF VERY SOON! EARLY BIRD DISCOUNTS EXTENDED!! Applies to teams that register for the spring and summer comps (Sep- Apr) at Croydon, Maroubra and Kareela. Its a great opportunity to stay fit and sharp and healthy over the summer months and the festive season! All junior levels accepted from beginners to academy teams. Junior competitions include u6-u16 years. Click on www..super6soccer.net/Register-to-Play/Register-now to start your new team registration. · We are here for the long term, we run things professionally! · We are still the best value comp in Sydney! · No false promises, large fields not postage stamp sized fields! · Zero tolerance on any violence! Feel free to pass this email to someone that would be interested in putting in their own team at any of our venues. "Play in the comp you know and trust will deliver"! Super 6 Soccer...you know you will want more football for yourself, your spouse and your kids! Register your team in a comp you know will have the numbers and the competition!!
" Have played in various comps - both indoor and outdoor - and this is the best run by a country mile!! that I play in. 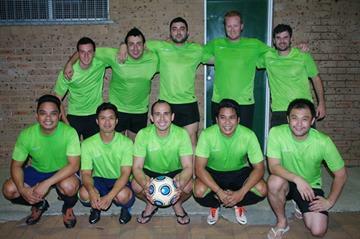 So feel happy that your comp runs better than the USYD Futsal one! 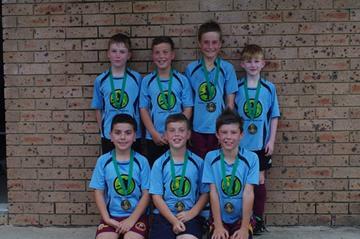 Super 6 Soccer 6aside has been a great pre-season for us as we ramp up towards our outdoor comp. Expect us back again next year for the summer season. "Well organised competition, like anything it takes time to perfect something, I believe the organization is on the right track!" From all the guys at Officially United, thanks for a great comp.Well organised, well refereed, good playing spirit ... we all had a lot of fun.We didn’t expect to win it at our first attempt – so that was a nice bonus. Put us down for next year !